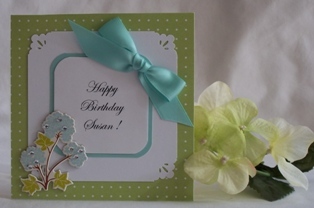 Lots of ideas and instuctions to make your own birthday card can be found here. 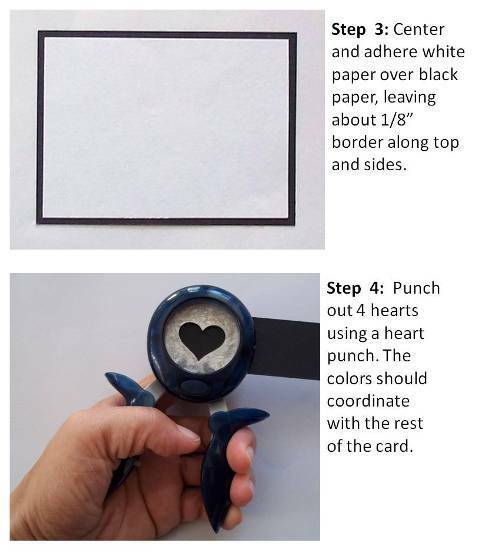 Handmade card ideas can start with a heart punch or pretty paper. 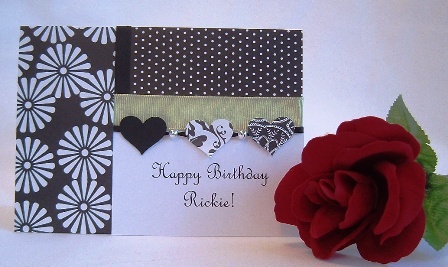 This birthday card design (pictured below) was originally made for a Valentine's Day card but it was so cute and looked versatile so I decided to make a birthday card out of it. Instead of having a Valentine sentiment, I switched it out with a happy birthday sentiment. 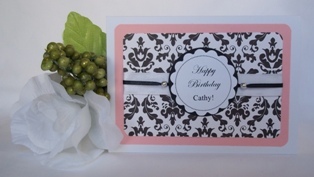 You can even personalize the sentiment when making birthday cards. 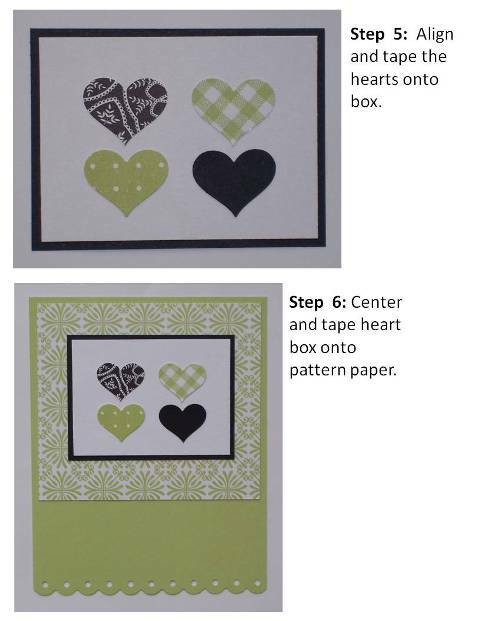 I found a scrapbook paper pad that had coordinating green pattern paper so I thought that would work well with the punched hearts I had to create. 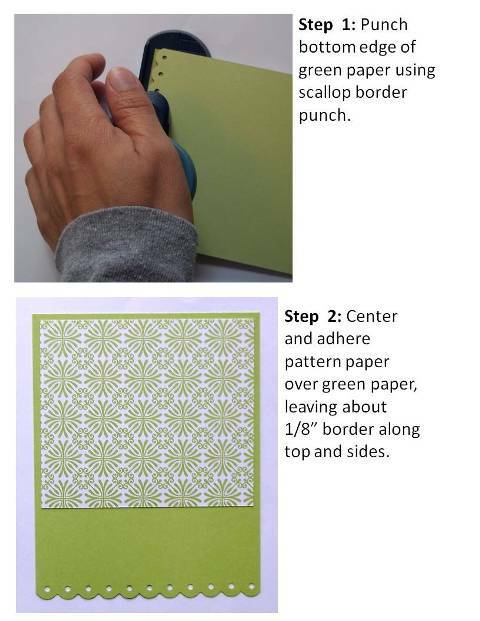 Several punches were used to make this handmade greeting card, a heart punch, scallop border punch and corner punch (see craft punches below). If you don't have a border punch, leave the bottom edge straight. I think it'll still turn out cute. Use stickers for the hearts if you don't have a heart punch. Or you can use other shaped punches. 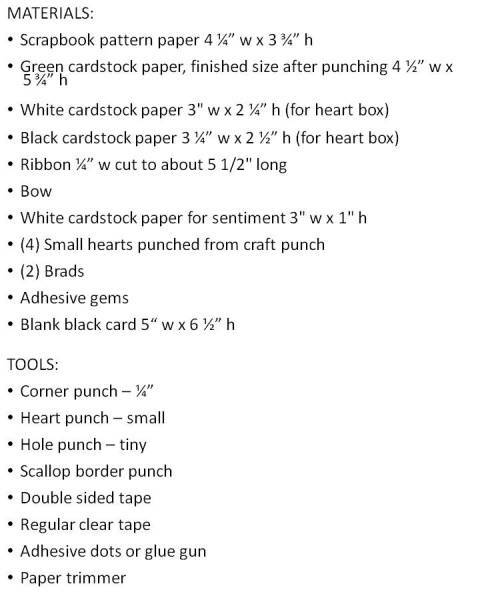 Snowflakes or tree ornament punches would be great for Christmas. Easter egg punches or bunny stickers are a great idea for Easter. Shamrock stickers are fun for St. Patrick's Day. 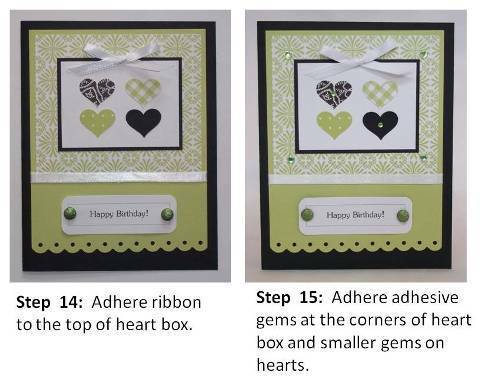 Or you can even use a large sticker and place it inside the box where the hearts are placed. 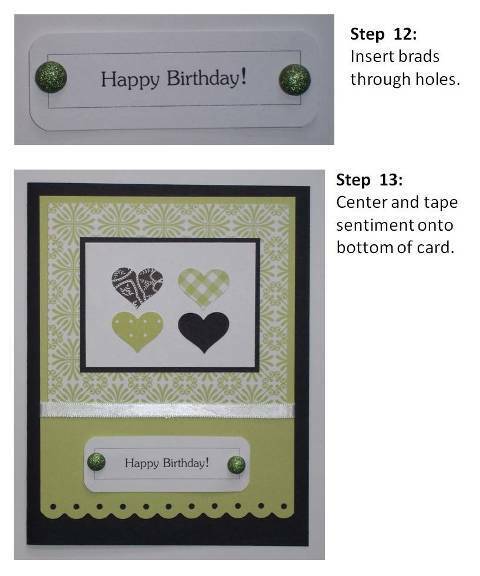 Making your own cards is about being flexible and having fun doing it. 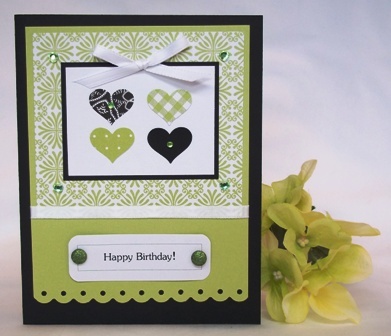 This is one of my more popular cards on my site. 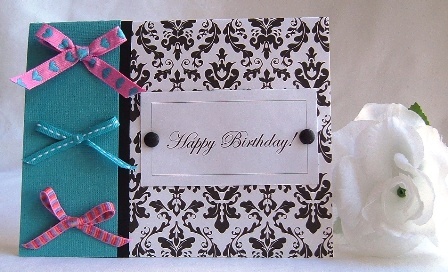 Mix and match paper patterns but keep the same color scheme. 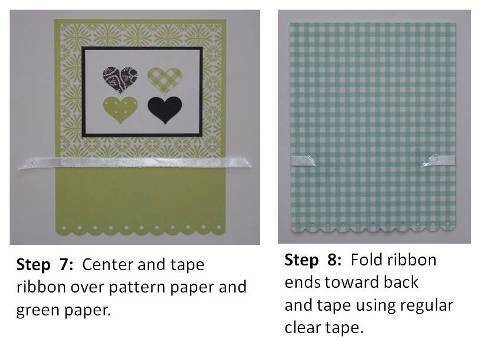 Use a scrapbook paper pack so that you can use the coordinating paper. Sometimes, the paperpack comes with solid colored paper so you don't have to try to match it. Paint your own brads if you don't have brads that match the color of your card. I often apply glue on the brad head and then dip it into glitter. This is a cheap and quick way of getting the color you want to match your card. I like to keep a pack of black and white pattern paper in my supplies box. 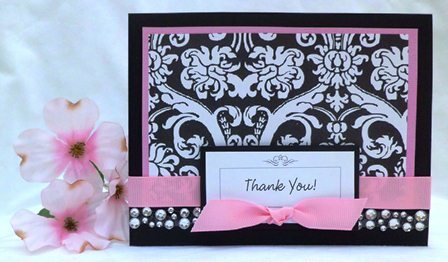 The black and white paper often comes in handy when I need a go-to color when making cards. Black and white are good coodinating colors and match just about any other color on the color spectrum. Here's the purple version of this card. 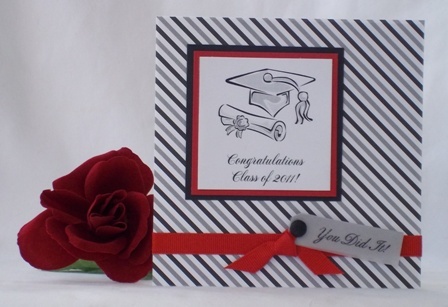 As you can see, I utilized the black and white pattern paper. 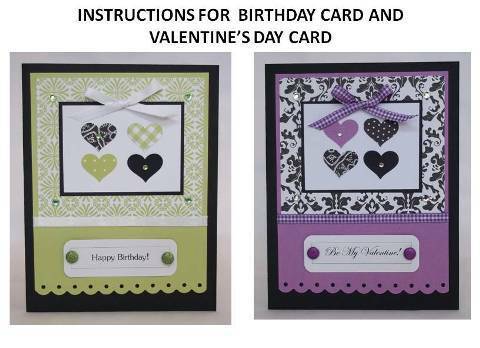 As noted above, this card is for Valentines but I used the same design as with the birthday card. 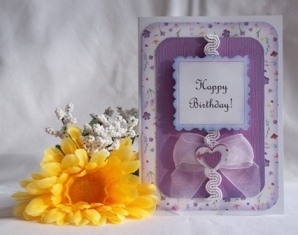 Instead of white satin ribbon in making the birthday card, I used purple gingham. 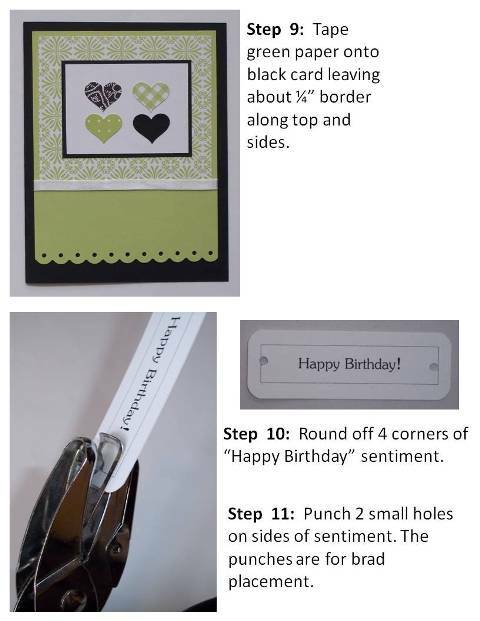 More ideas to make your own birthday card.